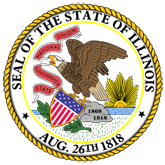 The Illinois MAIN STREET Program, through the Illinois Historic Preservation Agency, has provided this free design assistance to qualified property/ business owners in the officially designated MAIN STREET project areas. The rendering for the Belvidere Daily Republican 410 South State Street, Belvidere, Illinois, is a conceptual view of the facade renovation based on information supplied to the staff architect. 1. Belvidere Daily Republican (20090528210924_BELVIDEREDAILYREPUBLICAN.pdf).